In stock - low quantity. Order in the next 3 hours, 15 minutes and it will go out today! 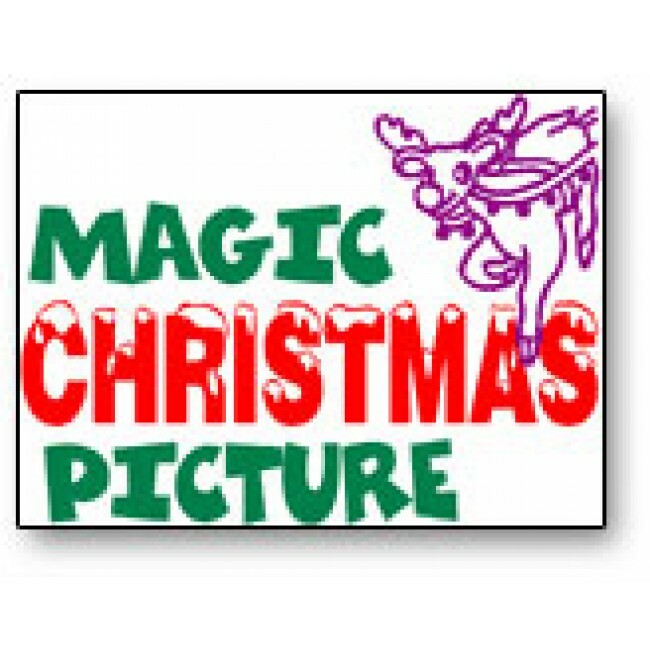 The magician displays a black and white outline drawing of a rooftop with reindeer pulling an empty sleigh that`s ready to land. A volunteer from the audience chooses several different crayons and writes his name on the sign in front of the house, then colors in the reindeer`s nose and adds a little smoke coming out of the chimney. The assistant then holds the picture while everyone says the magic words. When the picture is turned around, Santa is in the sleigh and it`s full of presents, complete with a Christmas tree and everything is colored in! The picture is then given to the child as a souvenir.